Hello! 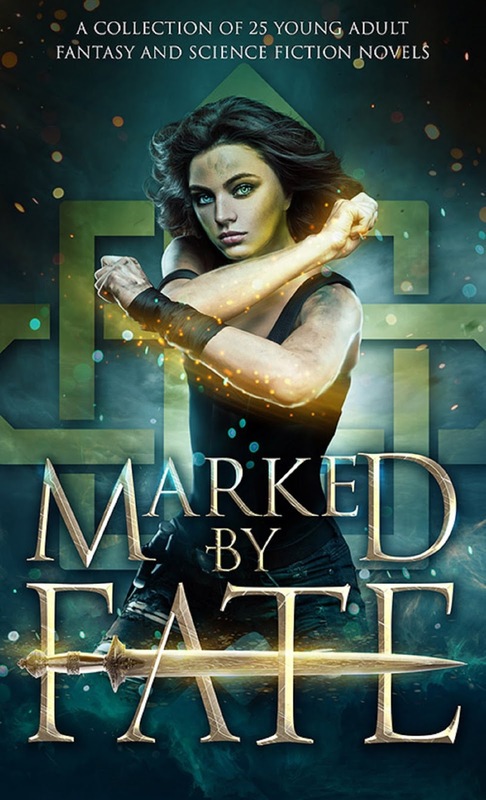 Today I am taking part in the book blitz for Marked by Fate a collection of 26 Young Adult fantasy and Sci Fi novels by various bestselling authors in the genres. The collection will feature 5 brand new stories and 21 bestselling favourites. If you preorder this collection you will also receive exclusive access to a secret reader portal on release day. Exciting! This is the first time I have taken part in a bookish event for a collection of stories and I'm excited. Thank you to YA Bound Book Tours for letting me be part of this book blitz. Defined by Their Choices — Marked by Fate. 26 full-length novels for a limited time only! 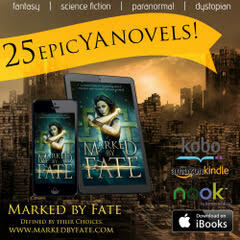 Champions rise, shadows fall and magic rules in Marked by Fate: A Young Adult Fantasy and Science Fiction Collection. Battle alongside gods, travel across foreign lands, and fall for handsome heroes in this action packed young adult collection featuring witches, shifters, angels, cyborgs, and more. Venture to oceans deep with mermaids, fly upon the backs of dragons, or speak with ghosts in this group of 26 coming of age novels from some of the best writers in the industry today, including USA TODAY and NEW YORK TIMES bestselling authors. The friendships are real and the romances are breathtaking. Travel through new galaxies, explore fantastic fairy tales, take down dystopian governments and escape urban fantasy worlds. 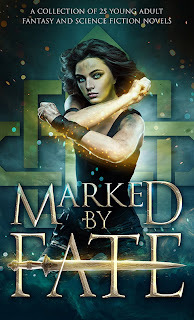 Full of time travel mysteries and paranormal lore, Marked by Fate is a box set with a message — that all women, no matter the age, can conquer their fears and heartaches to become the fierce, strong heroines they were always meant to be. Will you fall in love … save the world … or become the villain? Who will you be? 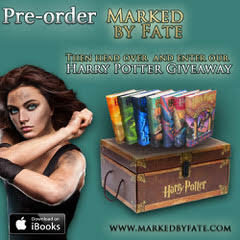 Enter the Marked by Fate Pre-Order Giveaway and Sweepstake here.